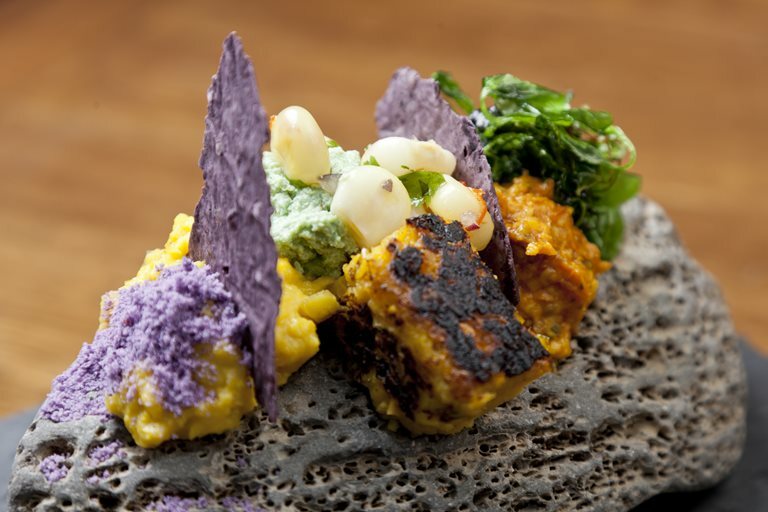 Peruvian chef Robert Ortiz shares a sensational gourmet corn recipe. "Textures of corn was inspired by the many varieties  of corn in Peru, most of which are sourced from the Andes," Ortiz explains. "They can add spice, crunch, sweetness, colour, bitterness and acidity to a variety of dishes, and it's their diversity that makes them such an amazing ingredient to work with."